CBT Nuggets now has an app available for the 4th generation Apple TV! 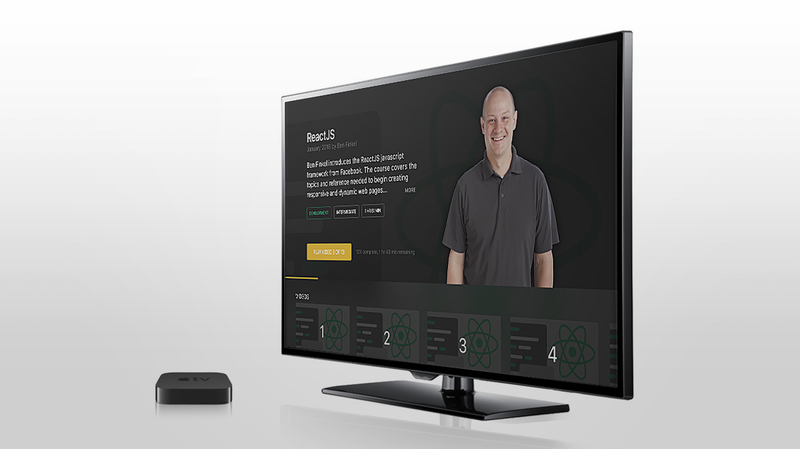 You can watch and learn from all of your favorite CBT Nuggets trainers on your Apple TV, and bring your training experience into the comfort of your own living room. The new Apple TV app provides convenient access to the full CBT Nuggets training library for active CBT Nuggets subscribers. We listened to you and designed this new app based on your needs in order to ensure a seamless training experience that includes Apple TV. The CBT Nuggets Apple TV app gives you the chance to have the ultimate dual screen experience in your training! Take notes. Pull up your favorite trainer and use on the Apple TV app while taking notes on your computer or tablet. Lab it up! Use a virtual lab environment on your computer or tablet to practice what you’re learning, in real time. Getting hands-on experience while you train has never been easier! Easily switch screens. Pick up where you left off on either the Apple TV app or your computer. Open the App Store on your Apple TV. Search for “CBT Nuggets” within the App Store. Launch the CBT Nuggets App. Use your CBT Nuggets credentials to log in. Enjoy this new way to train! Not a subscriber yet? Start your free week now!